Its a trending topic now in AlDub Nation social media the disappearance of Maine Mendoza in the regular noon time show of Kapuso station. 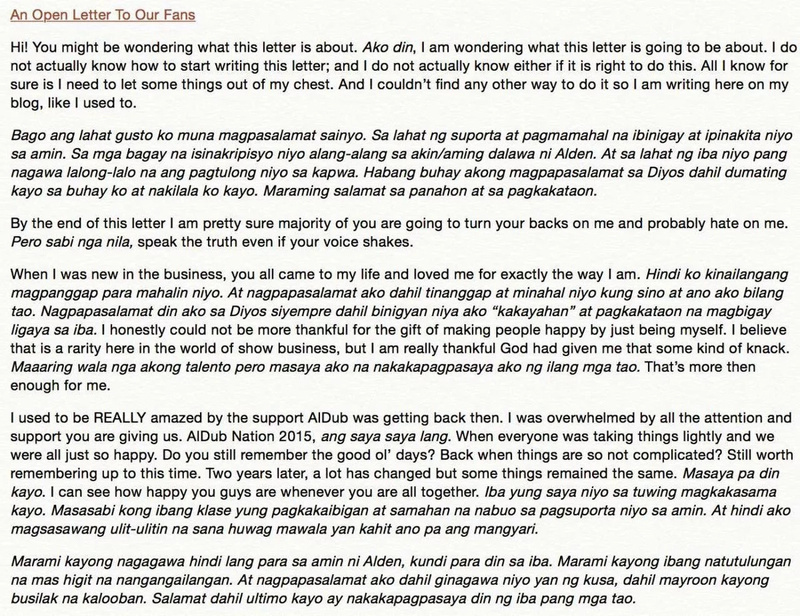 Last November 26, Maine posted an open letter thanking the supports she is receiving from her fans. In the open letter, the dubsmash queen also cleared the status of Alden and her. She reiterated that she is friends with Alden. November 27 was the last time Maine Mendoza was seen on the noon time show. Speculations grew that the actress is now going to transfer to Kapamilya station. Maine's management answered the speculations. According to an article from Philstar. "Katsipan at hindi dapat paniwalaan ang tsismis na mag-oober da bakod si Maine Mendoza sa ABS-CBN kaya hindi na siya napapanood sa Eat Bulaga. 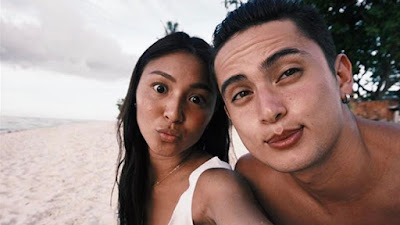 Malinaw na imbento ang balita dahil sure naman tayo na hindi pa tapos ang kontrata ni Maine sa production company ni Papa Tony Tuviera, ang big boss ng TAPE, Inc.
Two years old pa lang ang showbiz career ni Maine kaya tiyak na hindi pa tapos ang exclusive contract niya sa kompanya ni Papa Tony."